I found the sock monkey in a thrift store in a small New Mexico town. It was the Christmas season, and because the monkey was wearing a Santa hat, it was on a table with trees and lights and ornaments. I paid less than a dollar for it, not even sure why I wanted it. I wish I had taken before and after photos.Unfortunately, my camera was no longer reliable, and I had pretty much stopped even trying to get photos. Imagine the monkey in this photo wearing a Santa hat. 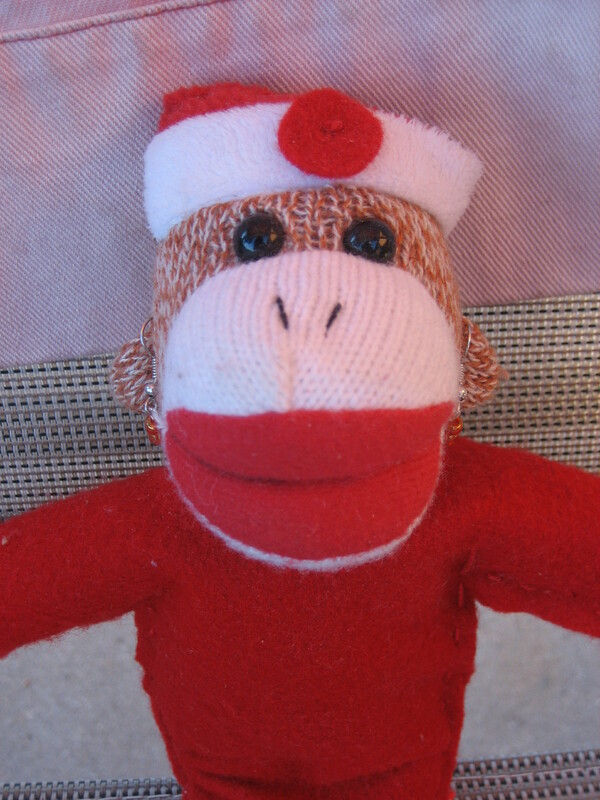 I turned that Santa hat into the hat the monkey is now actually wearing. I took the photo of this monkey. 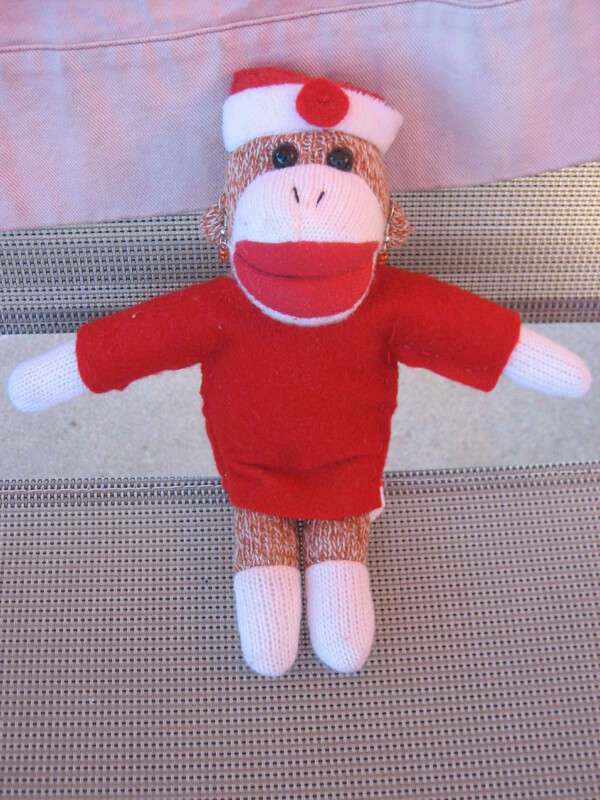 The next thing I did was make a dress for the monkey. I went back to the thrift store and found two squares of red felt to use in the dress making. I cut out two (mostly) matching sides and sewed the monkey right into the dress. I also cut a hole in the back of the dress so the monkey’s tail could be free. I cut a small circle from the felt to add a bit of decoration to the monkey’s hat. I sewed that right on. The last thing I did was make earrings for the monkey. (Unfortunately, they are not so apparent in the photos.) I used tiny red beads for the earrings. That’s how I turned a Santa monkey into a lady monkey.